The high retention, excellent speed, enormous download completion, a free high-quality news reader and on top of that a free VPN service, all together for the very low price of $7,50 per month (year plan), have catapulted TweakNews to the top of the ranking. Tweaknews is Europe’s leading Usenet provider. They offer the best download speeds, 99,99% download completeness rates and overall service quality of all European Usenet providers. TweakNews also has the most extensive Usenet access package with unlimited downloads, SSL-security, no safety limitations and a free newsreader with search-function and preview functionality and besides that, a free of charge zero-log VPN service. TweakNews also has the most extensive Usenet access package with unlimited downloads, SSL-security, no safety limitations and a free newsreader with search-function and preview functionality and besides that, a free of charge and log-free VPN service. 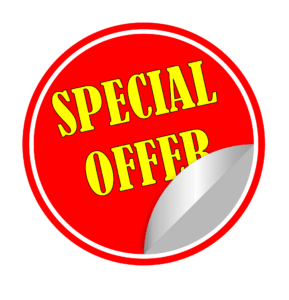 These excellent features in combination with our very attractive special offer, promise the users an excellent Usenet experience. In this review, the Ultimate + VPN-package is tested. TweakNews has five flat-rate packages with different speeds and a different number of connections. Therefore it is possible with each package to download unlimited content. The ultimate package that we tested is the only package with unlimited speed. Besides that, TweakNews also offers five block packages, which are all limited to a speed of 100 Mbit. With block packages, you pay for the amount of download volume in GB which is valid indefinitely. Therefore you can download at easy without any time restrictions. ShareConnector readers get a lifelong 42% discount on the ultimate +VPN package with yearly payments. It is the top package of TweakNews. You can also opt for the 23% lifelong discount for this package if you want to pay monthly. Compare the different news servers in our comparison test o top news servers. TweakNews is competing for the highest ranking amongst the best Usenet providers of this moment like Newshosting, UseNext, etc. Read the reviews and draw your own conclusions. If you want to know more about VPN and what VPN actually is, read the article in the link. Or read about the best VPN providers that we have tested. With above-mentioned settings, you can download via Spotnet or another news reader. TweakNews proved to have the best speed of our tested Usenet providers. With only 10 of the available connections we already reached the maximum of our 300 Mbps Ziggo cable connection. Perhaps you would like to test them first and see if TweakNews is living up to their commitments. Take a free trial in that case of 10 days/10 GB. If you are new to Usenet you can also get other free Usenet trials and see if it fits you. NZB search has become a lot easier, follow the link to read all about it. The retention is also incredibly high. 2.500 days is almost seven years. That is nearly double the amount XS News offers. Good news for all downloaders. The high retention, excellent speed, enormous download completeness, a free and top-quality news reader and on top of that a free VPN account, for the very low price of €7,50 per month (year plan), have rocketed TweakNews to the top of the rating. Summary: The high retention, excellent speed, enormous download completion, a free high-quality news reader and on top of that a free VPN service, all together for the very low price of $7,50 per month (year plan), have catapulted TweakNews to the top of the ranking.